→ Ms. Marvel (1°) #1 (01/77) This Woman, This Warrior! → Ms. Marvel (1°) #2 (02/77) Enigma Of Fear! → Ms. Marvel (1°) #3 (03/77) The Lady's Not For Killing! → Astonishing #54 (6) (10/56) The World Of Flame! → Thor (1°) #149 (2) (02/68) Inhumans - Silence Or Death! 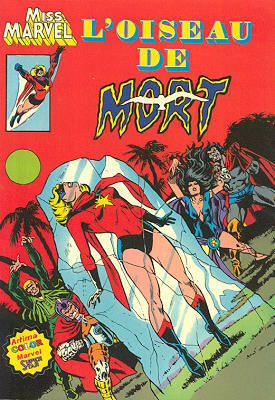 → Ms. Marvel (1°) #4 (04/77) Death Is The Doomsday Man! → Marvel Premiere #39 (12/77) Torpedo - Ride A Wild Rocket! → Tales To Astonish (1°) #51 (1) (01/64) Giant-Man And The Wasp - Showdown With The Human Top! → Ms. Marvel (1°) #6 (06/77) ...And Grotesk Shall Slay Thee! → Ms. Marvel (1°) #7 (07/77) Nightmare! → Ms. Marvel (1°) #8 (08/77) The Last Sunset... ? → Ms. Marvel (1°) #9 (09/77) Call Me Death-Bird! 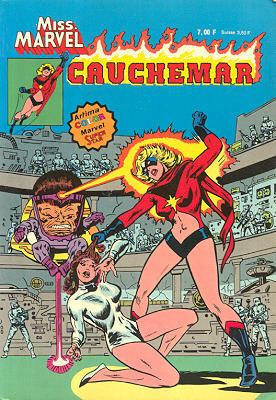 → Ms. Marvel (1°) #10 (10/77) Cry Murder... Cry Modok! 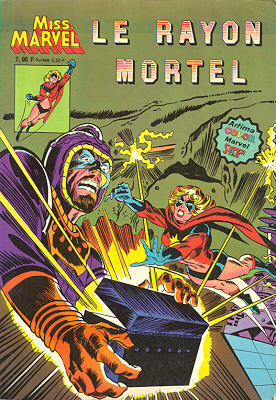 → Ms. Marvel (1°) #11 (11/77) Day Of The Dark Angel! 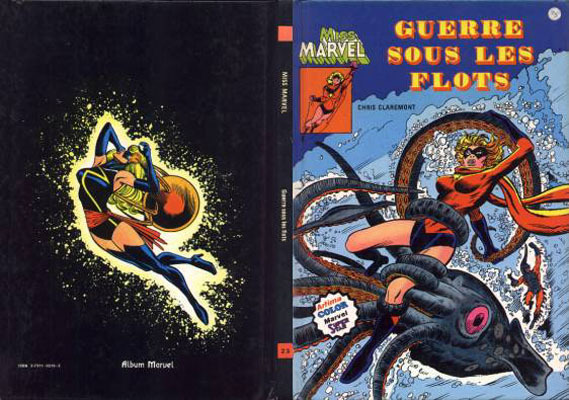 → Ms. Marvel (1°) #12 (12/77) The Warrior... And The Witch-Queen! → Ms. Marvel (1°) #13 (01/78) Home Coming! 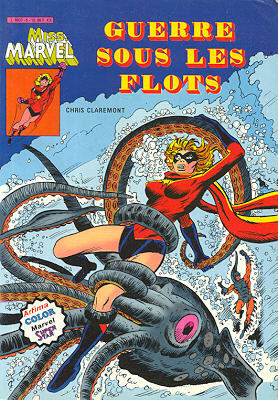 → Ms. Marvel (1°) #15 (03/78) The Shark Is A Very Deadly Beast! → Journey Into Mystery (1°) #80 (4) (05/62) For The Birds! 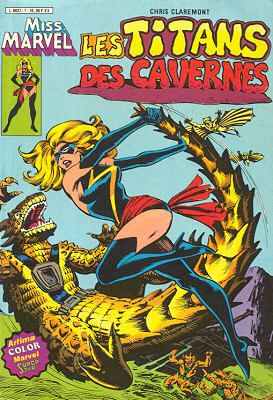 → Ms. Marvel (1°) #16 (04/78) The Deep Deadly Silence! 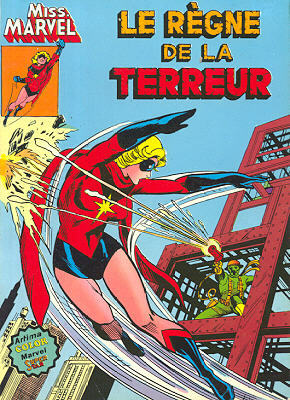 → Ms. Marvel (1°) #17 (05/78) Shadow Of The Gun! → Ms. Marvel (1°) #18 (06/78) The St. Valentine's Day : Avengers Massacre! → Ms. Marvel (1°) #19 (08/78) Mirror, Mirror! 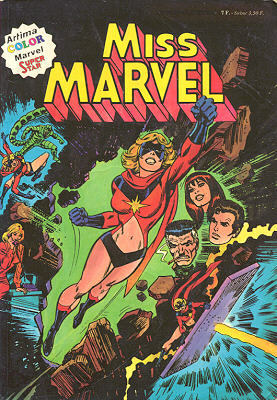 → Ms. Marvel (1°) #21 (12/78) The Devil In The Dark! 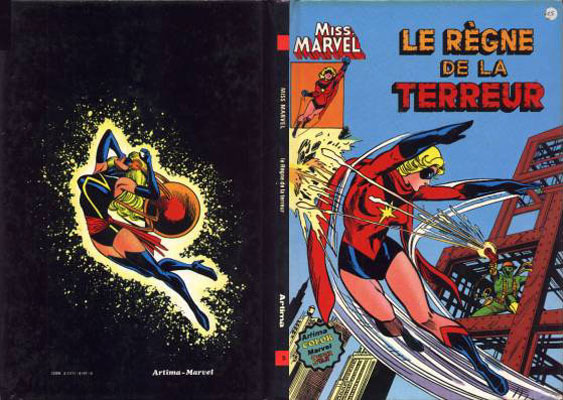 → Ms. Marvel (1°) #22 (02/79) Second Chance!